In fact, some people avoid taking home business deductions so as not to signal a tax audit. However, if you follow the rules, then you will have no reason to worry. For starters, check out these 12 Tax Deductions For Your Home Business. You may deduct the cost of anything that you use exclusively for business. This could be your computer, printer, stationery and/or any other equipment in your home office. What if you use that equipment for personal use sometimes? It meets the rules of exclusivity, meaning you use that part of your home for business only and not for personal use. It meets the rules of regular use, meaning you use the area for business regularly and not just have it set up for business. 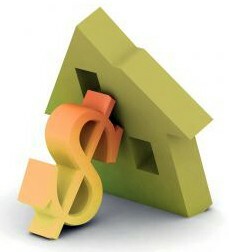 If the area of your home is your principal place of business then you can deduct the cost of using it. If the area of your home is, a place where you meet patients, clients, or customers you may deduct the cost of that space. If the area of your home is a separate structure from your house, you can feel comfortable claiming it for your home business. If you telecommute, meaning you work at home for an employer, then you may want to ask your boss to write a letter to help prove that you are eligible for a home use tax deduction. Here’s an example of a New Jersey man who worked exclusively from home. But, since his New York employer was able and willing to provide him with office space if he needed it, it was ruled that he worked at home for his convenience, and he was forced to pay non-resident New York state taxes. So, if you work from home, you may want to get a letter from your employer stating that you work at home for the company’s convenience. If your home office or business supplies do not meet the exclusivity and regular use laws, you should not try to deduct them. If you can complete your work somewhere other than at home, then you cannot use that space for a home business deduction. You may not deduct use of hobby space, even if it is profitable. It must be a registered business.